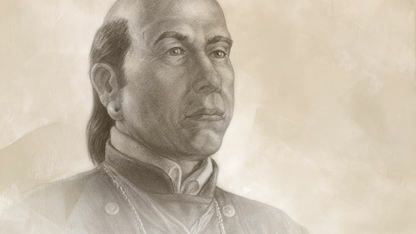 Levi Colbert, or Itawambe Minko (Bench Leader), was an early leader of the Chickasaw Nation. He was born in 1759 in the Chickasaw Nation, east of the Tennessee River in Alabama. Colbert and his brother, George, were prominent negotiators and interpreters. They spent much time working with President Andrew Jackson’s appointed negotiators regarding treaties and removal. In 1832, Colbert helped to organize a treaty meeting with General John Coffee and various U.S. representatives in order to sign a treaty that would negotiate the tribe’s removal west of the Mississippi River to Indian Territory. Colbert and other Chickasaw leaders fought hard for as much compensation as possible for their homelands, but in the end they believed that General Coffee ignored their viewpoints. Colbert died in 1834 at the age of 74. He did not live to see the Chickasaw people finally agree to a treaty that would relocate the Chickasaws to Indian Territory.